When in need of a gorgeous finishing touch for her bridal shower cake, this Bride to Be paper cake topper is the answer. 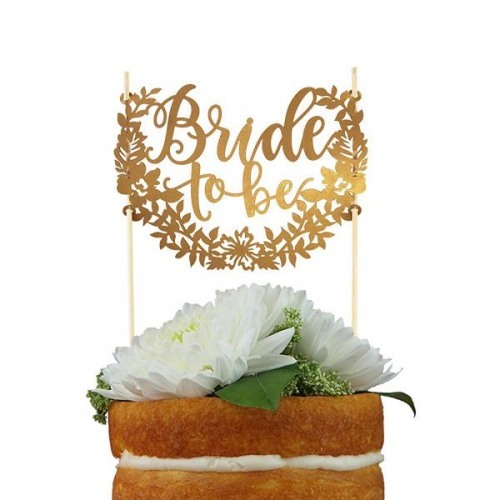 Each cake topper is made of vintage gold metallic paper with a floral design, the text "Bride to be", and bamboo stakes. Simply push the stakes through the cake for a beautiful look.